Directed by Steven Carpenter (Hysteria, Mrs. Farnsworth). WHERE: Smith Theatre of the Horowitz Visual and Performing Arts Center (HVPA) on the campus of HCC. The faded glamour of the 1940s theatre comes to life as Rep Stage favorite and Helen Hayes Award-winning actor Nigel Reed (Travels With My Aunt, Mrs. Warren’s Profession, The Judas Kiss) reunites with the director of 2008’s Trumbo: Red, White, and Blacklisted to portray stage legend John Barrymore as he rehearses a comeback performance of his triumphal Richard III. Mr. Reed delivers a comedic yet haunting portrayal of the acclaimed stage and screen actor from the legendary Barrymore family, icons of the American Theatre. A post-show reception follows the Saturday, October 29, evening performance and free post-show discussions follow the November 4 and 11 performances. 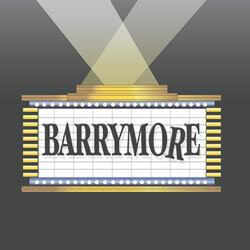 A pre-show lecture by assistant film professor and critic Mike Giuliano, who will speak on "Barrymore on Screen,” will complement Barrymore before the November 12 matinee beginning at 12:30 PM in Monteabaro Hall. The lecture is free and open to the public. For more information on post-show discussions and the pre-show lecture, visit www.repstage.org. Rep Stage, a professional Equity theatre in residence at Howard Community College, is in its 19th season. The company is a member of both League of Washington Theatres and Baltimore Theatre Alliance. Performances are made possible by the Maryland State Arts Council, an agency funded by the State of Maryland and National Endowment for the Arts, as well as through generous individual contributions. Howard Bank is the Rep Stage 2011-12 season partner.